Is the author of Chekhov: Scenes from a Life, editor of Chekhov: A Life in Letters, and translator of two anthologies of Chekhov’s stories. 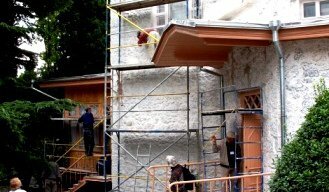 She is Director of the Anton Chekhov Foundation, set up to preserve Chekhov’s house in Yalta. 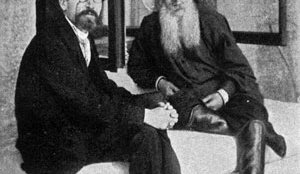 Tolstoy died on 20 November 1910, but official Russian celebrations of the centenary have been muted. Rosamund Bartlett asks why. 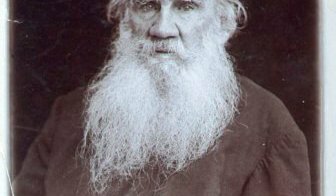 Could it be that the Soviet ‘taming’ of Tolstoy still informs attitudes to him today and might the Orthodox Church have something to do with it too? The Chekhov house, garden and archive in Yalta is a site of unique international cultural importance. Short of funding, neglected and hit by a hurricane, it faced a gloomy future. A group of British actors, scholars and Chekhov enthusiasts set up the Anthon Chekhov Foundation, which both provided money for urgent repairs and helped to raise awareness of the situation in the international media. The Chekhov House has been saved, reports one of the campaign organizers Rosamund Bartlett.